20 years ago in Basel there began a success story like few others in the art fair world: LISTE – The Young Art Fair in Basel (today: LISTE – Art Fair) was founded in 1996. Within a short span of time, LISTE had established itself as the most important fair exclusively for new galleries and current art worldwide. Since the fair’s inception, LISTE’s focus has been on introducing new galleries with young, emerging artists. The strict selection policy of the expert jury, composed of museum people, combined with the fact that the number of galleries, is kept intentionally low give the fair its high quality, vitality and dynamism. These are clearly reasons for LISTE’s great success. Attending LISTE has become a “must” for collectors and curators who are involved with young art. The past 20 years have seen many (at the time unknown) artists make their debut at LISTE. For example, the painter Wilhelm Sasnal at Foksal Gallery (Warsaw) or Jim Lambie at The Modern Institute (Glasgow) with an floor installation that was exhibited at the Museum of Modern Art, New York, 10 years later. Elizabeth Peyton, also unknown at the time, presented her small-scale oil and water color works at neugerriemschneider (Berlin). Francesco Vezzoli, with his video works, was presented by Franco Noero (Torino). Steven Parrino, Carol Bove and Banks Violette were shown by Team (New York). One could list the names of many an artist whose international career got its start at LISTE. The same success story applies to galleries – unknown at the time but now among the most established. The path of almost every gallery established after 1995 and considered important today has led to and through LISTE. If we look at today’s most important galleries in the art world, we see among them many of the 300 once unknown or virtually unknown galleries from approximately 40 countries that have taken part in LISTE over the past 20 years. For example: Air de Paris, Paris; Andréhn-Schiptjenko, Stockholm; Isabella Bortolozzi, Berlin; Contemporary Fine Arts, Berlin; Massimo de Carlo, Milan; Foksal Gallery Foundation, Warsaw; Stephen Friedman, London; gb agency, Paris; Herald Street, London; Martin Janda, Vienna; Casey Kaplan, New York; Johann König, Berlin; David Kordansky, Los Angeles; kurimanzutto, Mexico City; Andrew Kreps, New York; Maccarone, New York; Jan Mot, Brussels; neugerriemschneider, Berlin; Franco Noero, Turin; Maureen Paley, London; Perrotin, Paris/New York/Hong Kong; Eva Presenhuber, Zurich; projecteSD, Barcelona; Reena Spaulings Fine Art, New York; The Modern Institute, Glasgow; Vitamin Creative Space, Guangzhou; Nicolai Wallner, Copenhagen; Jocelyn Wolff, Paris; Zero, Milan; David Zwirner, New York … just to name a few. ONLINE GALLERY IS NOW OPEN! Hello, we are LIBBSCLAS. 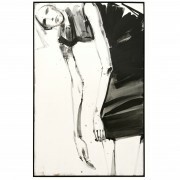 We are enthusiast art-lovers with our own online gallery. 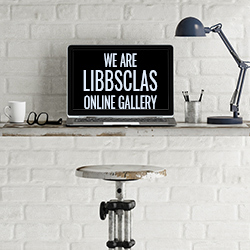 Wir von LIBBSCLAS ONLINE GALLERY stehen für Kunstgenuss ohne Einschränkung. Zu jeder Zeit an jedem Ort. Wir wechseln regelmäßig die Ausstellungs-Präsentation. Grund genug um bei LIBBSCLAS öfter mal reinzuschauen.